This setup would be the same for System Five on Cloud configuration. Simply scan the first 2D barcode on the Left marked “Windward Configuration”. Wait for all 3 sets of tones. First tone is a double beep, then a warble tone, and then an Ascending tone. If barcode scanner still is not performing correctly, scan the “Reset To Factory Defaults” barcode on the bottom, Wait for all three tones, and then scan the “Windward Configuration” barcode on the Top Left. Again… Wait for all 3 sets of tones. First tone is a double beep, then a warble tone, and then an Ascending tone. 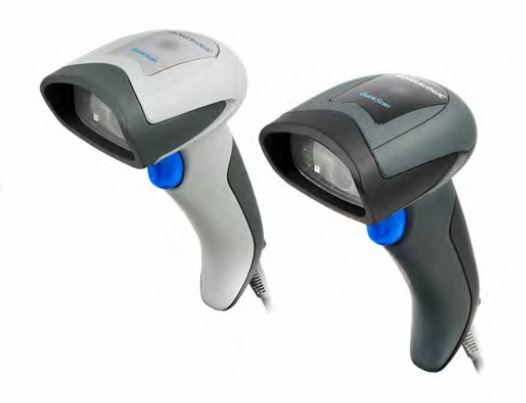 These barcodes can be scanned directly off an LCD Monitor, however, if you are unable to do that, you can print it out and scan it from the printed copy. Setup barcode scanner to com port emulation. See page 18 of the programming manual. Windows automatically picked up the scanner and installed the drivers. If the drivers are installed correctly it should look like this in the Windows Device Manager. The COM Port number will be different depending on which USB Port the barcode scanner is installed into. 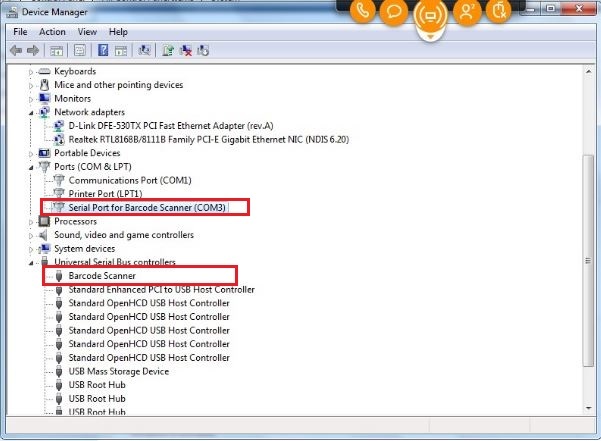 Now you will need to open the POS Device Manager as administrator and set the port to the one in the Windows Device Manager (Shown in picture above). You may need to check the Keyboard Wedge checkbox as well. Once this is done, no other configurations are necessary. In this configuration, the STX Prefix is not needed. System Five and the POS Device Manager will be monitoring that port for activity. Removing digits from the UPC barcodes is not recommended. However, in some very specific cases this could be done. Be aware that if you do this, it will do it for all barcodes going forward, and all barcodes scanned previously with the first and last digits attached will not scan anymore. So you MUST be absolutely sure that you need to do this. Print the following document and scan the highlighted 2D barcodes in the numerical order specified.